A little bit of silliness could really get you a long way! 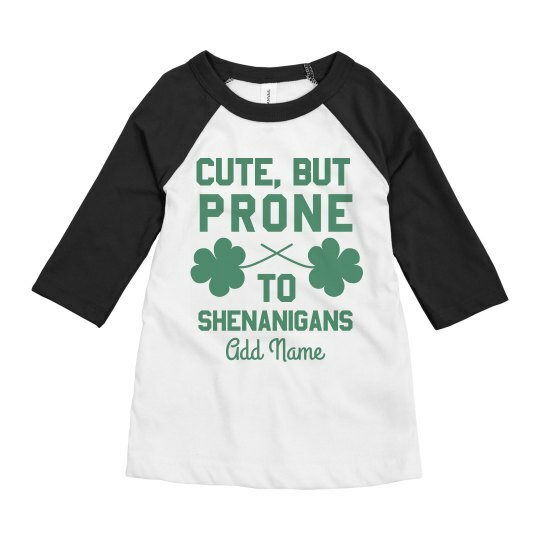 This St. Patrick's Day, sport a funny statement shirt that says "Cute, but prone to shenanigans" because kids are all up to any shenanigans! But we must admit that they're still cute! It would even be more cute and adorable to customize this with their names in it! St. Patrick's Day is gonna be total fun!